The relationship between a coach and a tennis player is complex, and needs to be look at objectively. In tennis, unlike in other sports like football and basketball, coaches are hired by the players rather than by the team or club. The compensation paid to tennis coaches is variable, and much less than what their counterparts in other sports earn. On the face of it, working with a single individual may seem easier than working with a team. But it is far from easy; tennis coaches play a key role in formulating strategy, tweaking the gameplay of their pupils, helping make tactical and technical adjustments to their game etc. And seldom do they get the credit that they deserve. For example, when Manchester City win the Premier League, Pep Guardiola - their coach - gets a lot of credit. But when Novak Djokovic wins a Grand Slam, everyone talks only about him but not his coach - Marian Vadja. Over the years, most coaches have accepted that their job involves them staying away from the limelight and tutoring their pupils in multiple ways to improve their game. Here, we take a look at 10 of the greatest coaches of all time. NOTE: The order is not meant to convey their position in the Top 10. 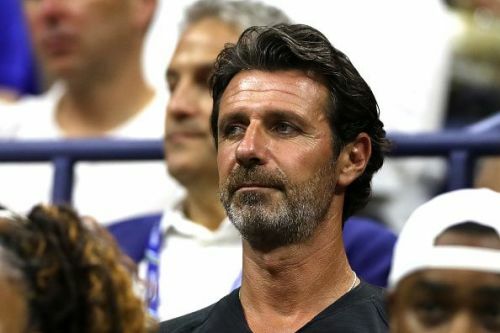 Patrick Mouratoglou is a French tennis coach and reputed tennis analyst. Mouratoglou has worked with several tennis players over the years. Those include Marcos Baghdatis (whom he coached to the final of the 2006 Australian Open), Grigor Dimitrov, Anastasia Pavlyuchenkova, Laura Robson, Yanina Wickmayer and Jeremy Chardy. Since June 2012, Mouratoglou has been the head coach of tennis superstar Serena Williams. The Frenchman took on the challenging task of guiding Williams to more Grand Slam titles despite knowing that she was in her 30's. So far, their partnership has worked wonders. Mouratoglou has infused a sense of focus in Williams’ overall approach to tennis, and she has won 10 Grand Slams, an Olympic gold medal and 3 WTA Finals Championships with the Frenchman as her mentor. The Mouratoglou Tennis Academy is one of the most sought after tennis schools in the world.